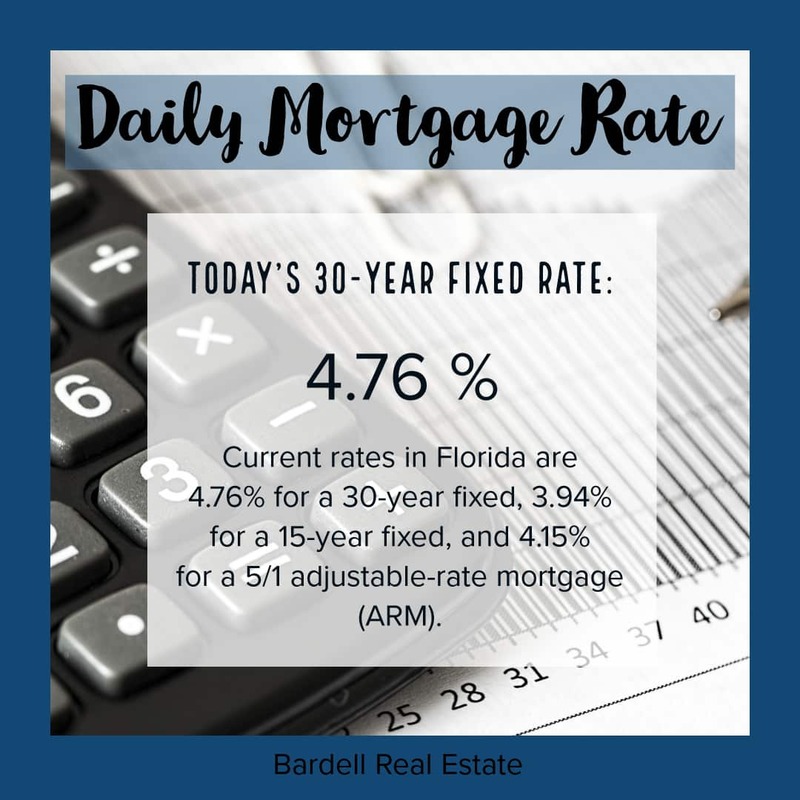 Welcome to this weeks snapshot of Central Florida Daily Mortgage Rates! Now has never been a better time to invest your hard earned money into something that will continue to reward you, especially with ownership! The mortgage rate is a primary consideration for homebuyers looking to finance a new home purchase with a mortgage loan. Other factors also involved include collateral, principal, interest, taxes and insurance. The collateral on a mortgage is the house itself, and the principal is the initial amount for the loan. Taxes and insurance vary according to the location of the home and are usually an estimated figure until the time of purchase.